NASA - Arizona Region | We Drive Harder! 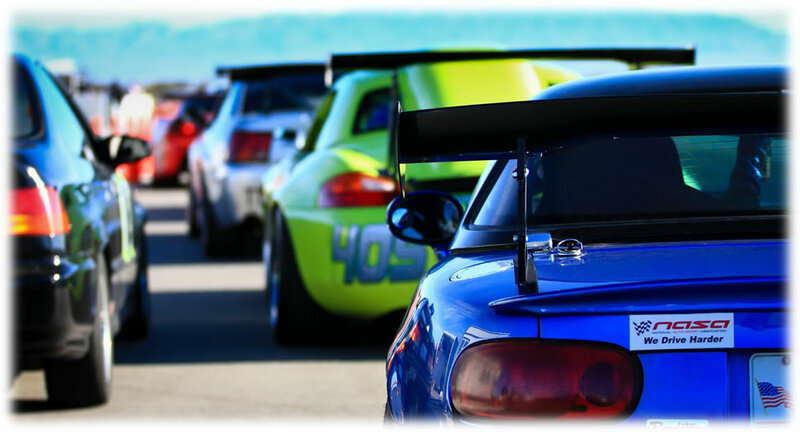 - Page 74 of 100 - Welcome to Arizona Chapter for the National Auto Sport Association. Here you can find all the information necessary to get on track at our events. NASA AZ 7th Annual Night Event! Be part of the most exciting DAY and NIGHT in Arizona racing! 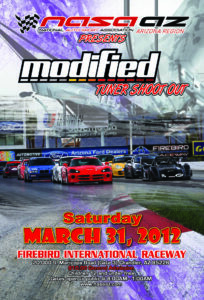 Autocrossing, drag racing, drift, road racing and features by Modified Magazine all in one place! Come by Registration (under the Bill Johnsons Pavillion) to enter into our Raffle Drawing. Prizes include: t-shirts, hats, scarves, gift certificate and much more! Win a THRILL RIDE in one of these cars! Bring the kids! Enjoy our FREE Bouncy Houses! 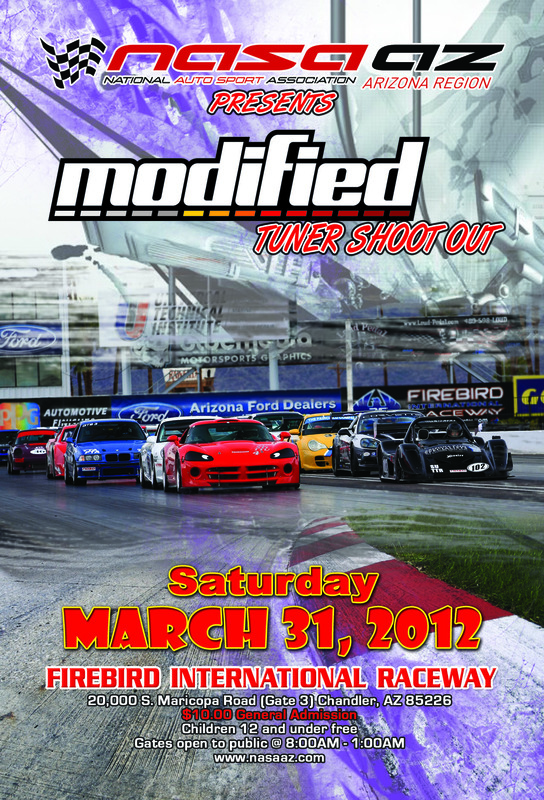 See some of the drifters from last year! Favorite Food(s): Helen’s Mexican food..of course! Occupation: Defense Contract Management Agency / Quality Assurance Specialist on the Boeing Longbow Apache AH-64 program. Favorite Food(s): My mom’s Mexican food! Phil was born in Swindon, England and grew up in a military family stationed all over Europe. 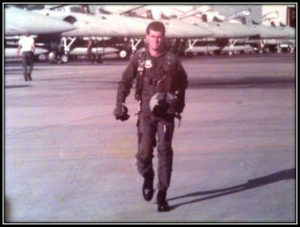 Phil then joined the Air Force as an F-15 aircraft mechanic. His career in the Air Force took him and his family to Iceland and Okinawa, Japan, among other assignments. Japan was definitely the family’s favorite assignment. After a 6-year tour in Japan the Robles family was transferred to Luke AFB, AZ where Phil retired from the military. Phil now works for the Government as a QA Specialist on the Boeing Longbow Apache AH-64 program. 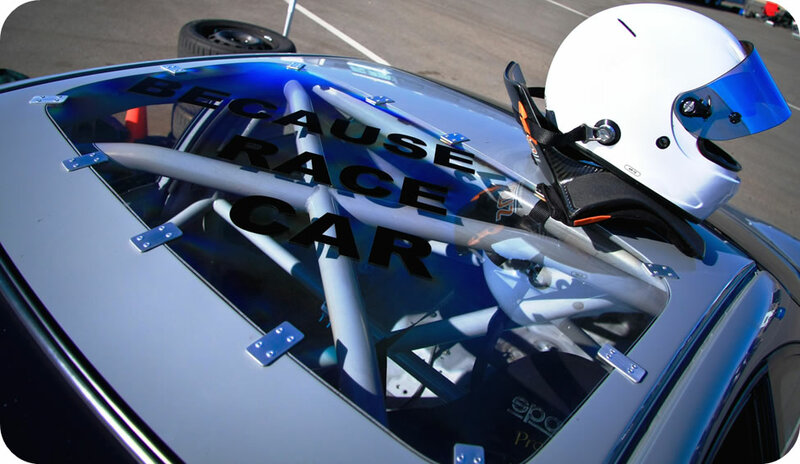 In 2007 Phil made the transition from being a motorsports enthusiast to actually driving on track at a NASA AZ Phoenix International Raceway event. Phil progressed though the HPDE ranks and up to Time Trials and the UMS Tuning Time Attack series. In 2009 Phil won overall in TT-B and the UMS Tuning Time Attack series, and repeated his TA overall win in 2011. Phil enjoys driving with NASA because of the well-structured organization that, “allows you to go as far as you want to fulfill your motorsports addiction.” Phil doesn’t plan on slowing down one bit. In fact, he plans on fulfilling his motorsports addiction by continuing to improve his car and driving skills. Phil enjoys the racing scene so much that he makes it a family affair. 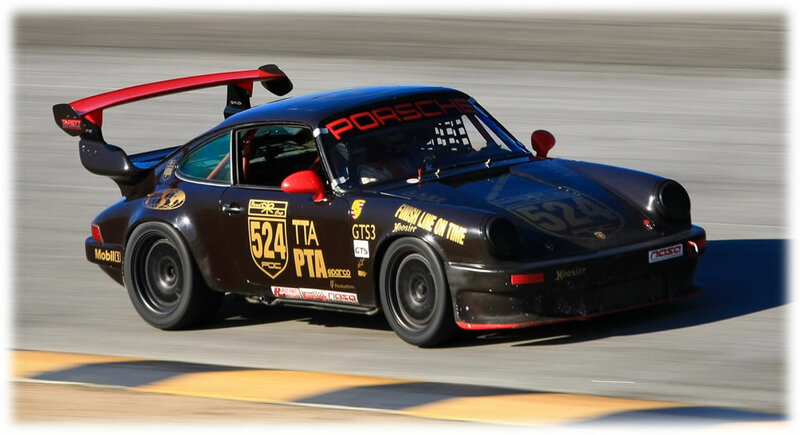 Phil’s son, Jesse has always enjoyed cars but never really got into racing until he made the trip with his Dad to a NASA AZ Inde Motorsports Ranch event in 2011. Phil let Jesse drive his car out on track and ever since then Jesse was hooked on driving, starting the Father/Son duo. Jesse was born in Tucson, AZ, but as an Air Force dependant Jesse got to move around and live in different places. While the Robles family was stationed in Japan, Jesse learned to drive in his Dad’s Mini Cooper. Jesse later would hit the streets of Japan to participate or watch the local drift shows. Jesse and his friend Ross Petty (who is now a pro drifter) used to drift Ross’ mom’s van around for fun. After moving back to the States, Jesse started racing bicycles and now holds a USAC Category 2 license. Jesse has won several of Arizona’s major cycling races, including the 84 mile El Tour de Tucson (twice! ), and the Valley of the Sun stage race. Cycling is also a sport Phil and Jesse share–Phil was on a military cycling team in Okinawa and also ran for the Air Force in marathons in Iceland and Japan. After getting bitten by the racing bug Jesse started his quick rise though the HPDE ranks. 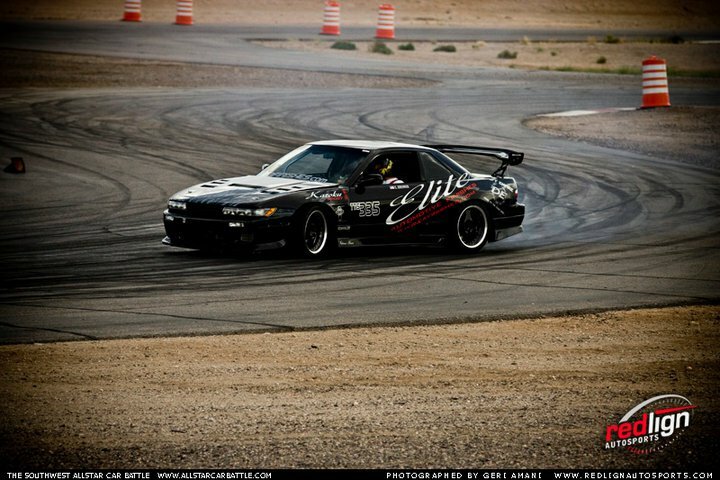 Jesse first drove his current car (which he borrowed from Nolan to compete in Time Attack) at the Firebird West event. He won 1st place at the event in TA-B, and it was the first time he had driven the car! Jesse later purchased the car from Nolan to become his dedicated track car. Jesse’s future plans are to continue racing with his family, build a drift car, and compete in Master Events in cycling. So the next time you are at a NASA AZ event be sure to say hi to the Father/Son duo Phil and Jesse Robles. While walking around the paddock of a race event, it is not uncommon to hear drivers speaking of their favorite tracks. Conversations continue as drivers list reasons why certain tracks are more fun and challenging than others. 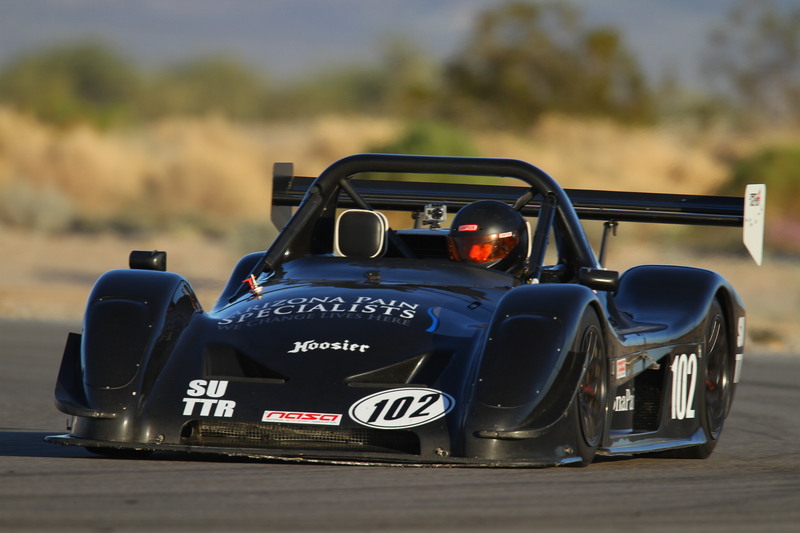 Last weekend NASA-AZ made its first trip to Chuckwalla Valley Raceway. Is this the best track NASA-AZ has ever traveled to? Well that would be a conversation that would never end but the fact is Chuckwalla was loved by all the drivers that attended. 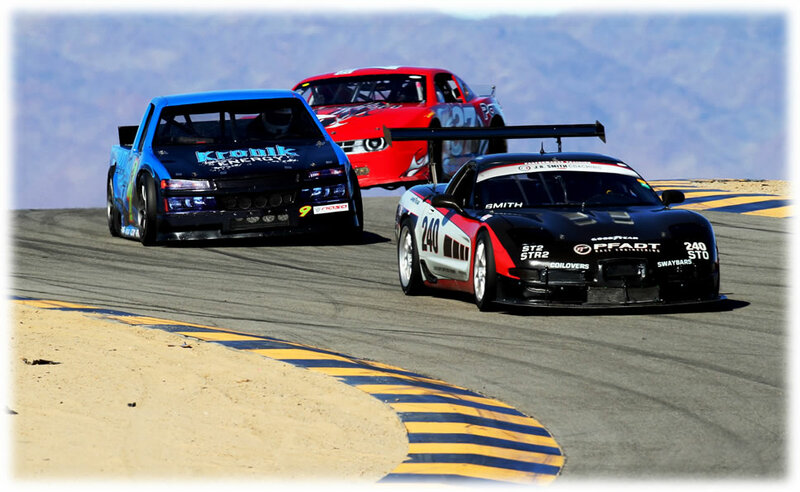 With 2.7 miles of track, 17 turns, and 40 foot wide race surfaces, Chuckwalla has a corner for everyone to enjoy. 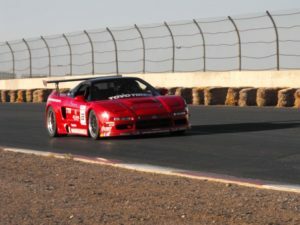 Tucked away in the desert of California, Arizona drivers made the trek last weekend to enjoy a 3 day event hosted by NASA-AZ on a technical, fast, and just darn right fun raceway. Qualifying was flooded with cars including a number of new faces. With a California race, a number of NASA So Cal members made the drive out to Chuckwalla to join our racers on this new track. These drivers would be sure to challenge our local drivers as they swept qualifying in Honda Challenge. With a full field small bore saw 24 drivers in qualifying with 23 in big bore. With such a large turnout, the race was sure to be exciting as a corner would never be bare. Saturday the green flag dropped and the racers were off flying into turn 1 and 2 for early position. Within the first lap, both a 944 and HC drivers were off track and would have lots of ground to make up. Jim Richard was off to an early overall lead with Norm Hamden leading the 944 Spec class. The battles started early with Doug Evans and Terry Denton working hard in the HC class. With an early off Tony Szirka would have a lot of ground to make up. Once again Eric Dayton, Simon Pavlick, and Leland Forbes were having a great race in the middle of the Honda Challenge Pack. With Pavlick leading the three drivers, Forbes makes a pass on Dayton. A combination of Pavlick and Forbes dipping 2 off mixed up the group allowing Dayton to pass both drivers with Forbes just behind him and Pavlick now making up ground. The 944 and PT drivers were maintaining their positions with each driver gapping the next. Paul Seiferth in his PT-F RX7 continued to pressure Devon Dahn for position. About this time, the 25 car of Jeremy Croiset, and 72 car of Manny Coats, began their attack on the field. Within minutes Croiset had taken the HC lead. Manny Coats was not far behind, but Jason Noel commanding the 2nd place position would make Coats work for the pass. In the end Croiset and Coats would take the 1st and 2nd overall positions with Norm Hamden taking 3rd place overall and winning the 944 Spec class. With one of the largest Big Bore races we have seen some time, the flag dropped and the racers went three wide into turn 1. Mark Alger was off in the first turn leaving him behind the entire field. Never one to quit, Alger wasted no time working his way up the field. Having not qualified due to radiator and alternator issues, the TeamArizonaPain.com radical started the race last. In no time the radical was making his way through the field almost as if playing a game with the other drivers. Within 2 laps, Mark Alger had regained position on half of the field. Bryan McCormick in the number 9 truck was making great laps following the 33 truck of Ed Charnock with Wayne McKeen following closely behind. Still coming through the other drivers, Team ArizonaPain.com makes the pass on John Gordon in his beautiful Porsche, and works on the leaders starting with Wayne McKeen. After some quick passes, TeamArizonaPain.com passes McKeen, McCormick, and Charnock leaving only Brent Crosser in the 206 Corvette between them and the lead. With only 4 minutes left, the leaders caught the back of the field and blue flags go waving all over the track. An off in the last laps by Crosser, leaves a gap for Charnock and Team ArizonaPain.com to make the pass for the 1 and 2 position. Norm Hamden was off to a quick overall lead. Due to an incident, Croiset and Coats in the 25 and 72 HC cars started in the back. Within the first lap, Croiset was on the bumper of Honda Challenge leader Jason Noels. In PT-F Devon Dahn made Paul Seiferth work to hold his lead. By this time both Croiset and Coats were knocking on Noels door trying for the pass. Finally on lap 3, 25 and 72 make the pass for the 1 and 2 lead in Honda Challenge. Now with the HC field in their rear view, they quickly pick off the rest of the small bore field. Meanwhile 944 Spec drivers maintained large gaps between each car and PT-D Jim Richard was still leading the race with a huge gap. Always waiting to make his moves, Dayton takes the pass on Doug Evans and begins to close the gap on Simon Pavlick. Evans, Forbes, and Szirka are all following closely. 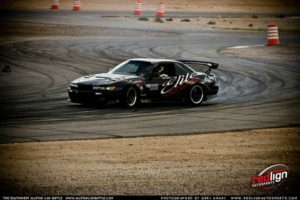 New to NASA-AZ, Steve Stepanian and Josh Allan displayed some great driving in the Spec E30 class. After numerous attempts, Stepanian gets the pass on Allan into turn 1 for the class lead. With race ticking down, Croiset passes Jim Richard for the race lead with Coats now working on 2nd. In the last lap Forbes passes Szirka and Evans and Coats passes Richard for 2nd overall. Having qualified first, TeamArizonaPain.com was off to a quick lead in the radical driven by Paul Lynch. Brent Crosser followed closely behind in the 206 fire breathing Corvette. Unfortunately at the end of lap 2, Team AZPain.com pulled into the hot pits with a charging system failure that would ultimately take them out of the race. With the radical down, Crosser and Alger put on a great show running nose to tail. Not one to be left out, Wayne McKeen slowly filled the gap from 3rd. Another great race was going on with Bryan McCormick in the number 9 truck, JR Smith and David MacMillan. As McCormick made the pass on MacMillan, a slight off while working to pass Smith puts McCormick right back where he started fighting for position. In turn 17, Alger gets the pass on Crosser with McKeen still close behind. McCormick and MacMillan finally get the pass on JR Smith. In PT-A large gaps slowly close as Brian Turner begins to catch up with leader Matthew Seech who goes on to win his class for the first time! Now in the lead Alger begins to gap the rest of the leaders and runs away with the race. With each Time Trial driver excited for a new track, 43 competitors made the trek to California for the first event at Chuckwalla Valley Raceway. A new track also meant for the second time this season, new records were up for grabs. TT-R was led by TeamArizonaPain.com running a blistering 1.39.888. TT-U was led by Mark Alger with a 1.51.262. The TT-U class 2nd and 3rd place positions were separated by only .2 seconds with Mark Klenin running a 1.55.157 and Gary Felton putting down a 1.55.311. Drew Regitz dominated TT-S with a 1.58.833. TT-A was led by Jeremy Renshaw running a 1.58.640 and the only TT-A driver to break the 2 minute mark. TT-B was led by the only in class 2 minute time breaker, Dave Schotz running a 1.59.785. Justin Markiewicz took TT-C with a 2.04.641. Emilio Cervantes was the TT-D leader with a 2.03.223. TT-E was led by once again TeamArizonaPain.com with a 2.10.910. 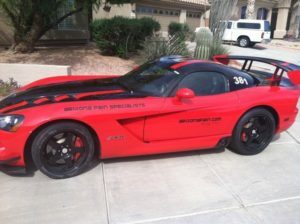 1st – TeamArizonaPain.com – 1.39.888 – New Track Record! 1st – Mark Alger – 1.51.262 – New Track Record! 1st – Drew Regitz – 1.58.833 – New Track Record! On Sunday TeamArizonaPain.com took TT-R once again but was unable to better their time from Saturday. Mark Alger led his class once again as well with a 1.51.692. Jeremy Renshaw led TT-A on Sunday improving his Saturday time with a 1.57.105. Each of the TT-B leaders improved their Sunday times with Dave Schotz running a 1.58.631, Mervin Tan running a 2.00.222, and Justin Markiewicz moving up a class running a 2.02.822. Emilio Cervantes shaved a second off his Saturday TT-D winning time with a 2.02.090 on Sunday. Brad Lundahl took TT-E on Sunday with a 2.10.544 beating the best Saturday time of TeamArizonaPain.com. 1st – Jeremy Renshaw – 1.57.105 – New Track Record! 1st – Dave Schotz – 1.58.631 – New Track Record! 1st – Emilio Cervantes – 2.02.090 – New Track Record! 1st – Brad Lundahl – 2.10.544 – New Track Record! Time Attack saw 26 competitors for this event. 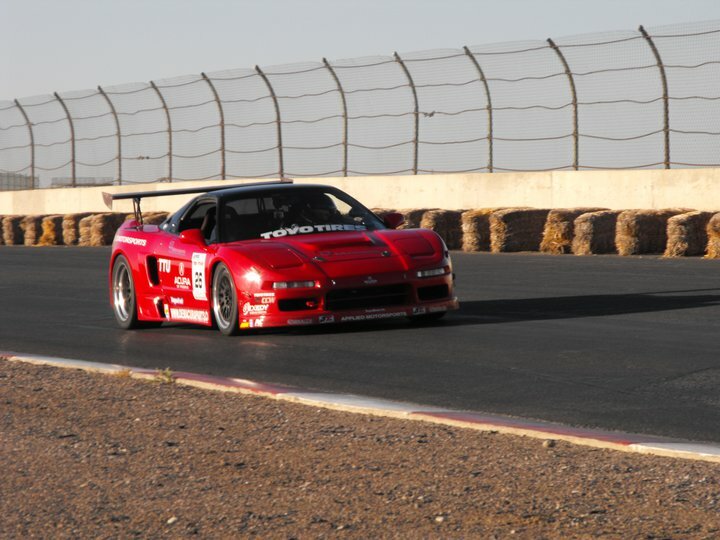 Being a new track to NASA-AZ, a number of HPDE drivers were eager to see the times they had been running all weekend. With mostly return drivers, the field was well equipped for some fast times. Also because this was the first time the series visited this track, new Time Attack Records were up for grabs. Here are the results for the second event of the season. Russell Whelan :: 01:57.408 New Track Record! Robert Smithson :: 02:00.268 :: New Track Record! Stenos Wijaya :: 02:08.753 :: New Track Record! Feb 18-19 Registration is open click here to sign up! Join the NASA-AZ forms to check out the latest info on upcoming events, questions and answers, Etc.